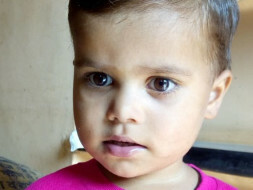 Baby payal solunke is just a two year old girl. 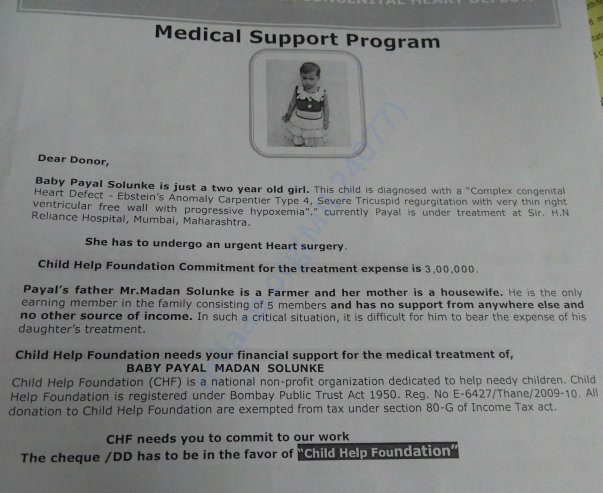 This child is diagnosed with a "Complex congenital heart defect-ebstein's anomaly carpentier type4,severe tricuspid regurgitation with very thin right ventricular free wall with progressive hypoxemia". currently payal is under treatment at Sir. H.N Reliance Hospital, Mumbai, Maharashtra. 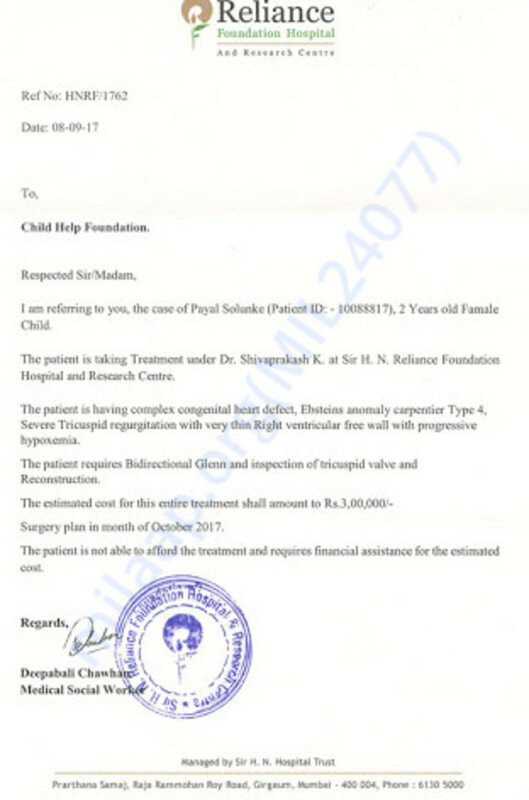 She has to undergo an urgent Heart surgery on 15th of November 2017.